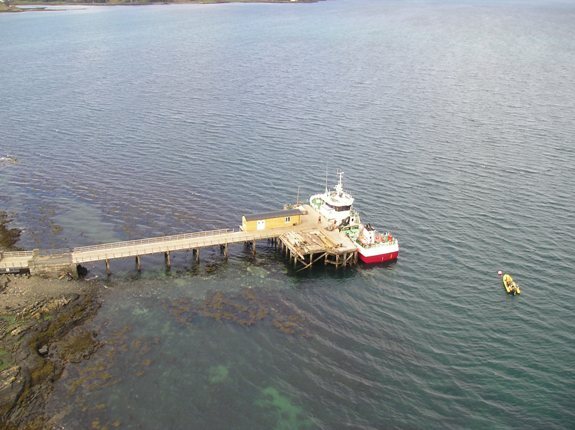 Since new ownership in 2007 Salen Pier is being sympathetically restored to its original design and now offers opportunities for private and commercial usage to and from the Isle of Mull. Fishing from the pier for House guests and locals. VIDEO. Salen Pier on YouTube. A short video showing the Pier & local Holiday properties. 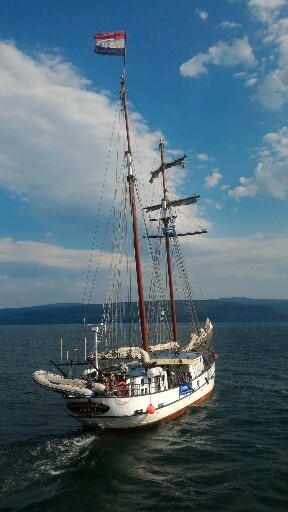 The Flying Dutchman will visit the Pier again on Tuesday & Wednesday 6/7, 13/14, 20/21, June, 15/16, 22/23 & 29/30 August 2017. 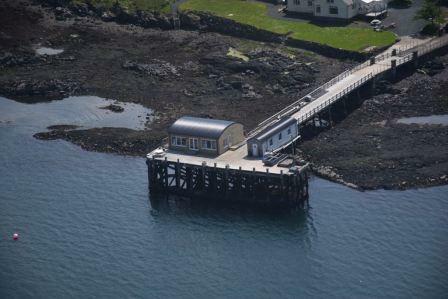 The old waiting room on Salen Pier has been restored and made into high quality accommodation for 4 adults, called Pier Point. Any vessels wishing to visit must contact Salen Pier owners in advance, to make sure there is zero impact to Pier Point guests. The Silurian boat from HWDT visited on 15th & 16th Sept 2014 for the local school children education field trips. Aug 2013 pictures in Photo Gallery of the Flying Dutchman, Dolphins passing the pier and 3 otters feeding near pier! Salen Pier Point, June 2016.